Not bad. Wanna part with that Willy's Jeep? dwc43 wrote: Not bad. Wanna part with that Willy's Jeep? That's my '43 Ford GPW...it's in the process of being "restored", so I can use it in my WW2 reenacting hobby....I'm getting too old and too fat to be an infantryman any more...I need to ride into battle! Nice job on the painting. From the pics, they look like they came that way. Here's some I ground with 4" grinder and a sanding disc. They were originally narrow white walls and white letters. The first one was practice. You have to be very carefull or you can grind through the white strip. You do know that you can buy those wide white wall tires again without having to make them? dwc43 wrote: You do know that you can buy those wide white wall tires again without having to make them? Yeah...Lucas Tire sells them, too...now, they're even more affordable than before...because those Coker's are expensive! Check Speedway Motors. 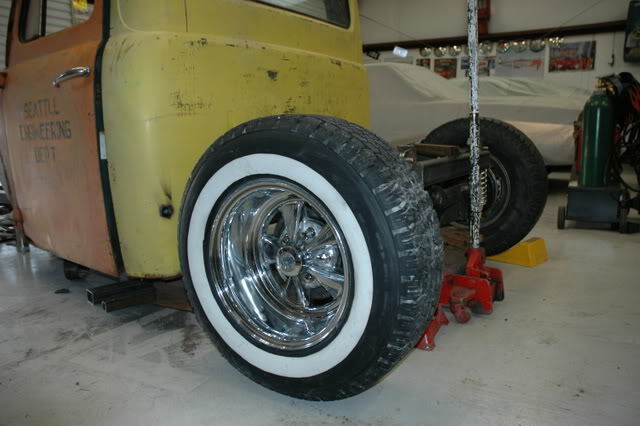 They have cheater slicks with white walls and the lugs on the side so they look like retreaded 50's style truck tires that they used back in the day. And I know, some of them are costly. 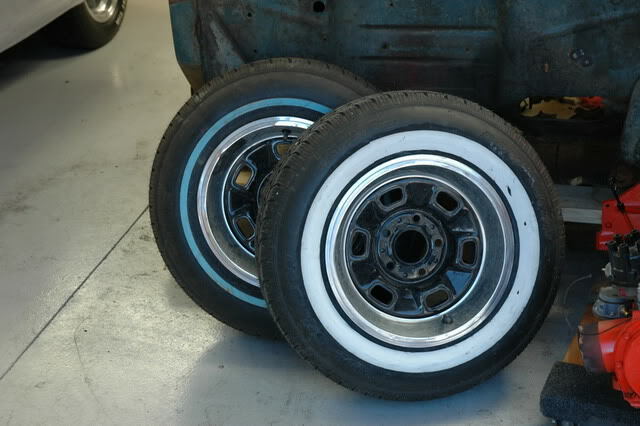 I still need to get a set of those old Good Year polyglass tires for my Road Runner. dwc43 wrote: They have cheater slicks with white walls and the lugs on the side so they look like retreaded 50's style truck tires that they used back in the day. Those are cool. Here's the link to the tires I mentioned for those that want a look see. Not bad, like a giant model car! How does it hold up to abuse? Didin't want to buy them. I had tires and wheels just laying around I want to use up. I have $50 in tires in wheels on my rat truck!